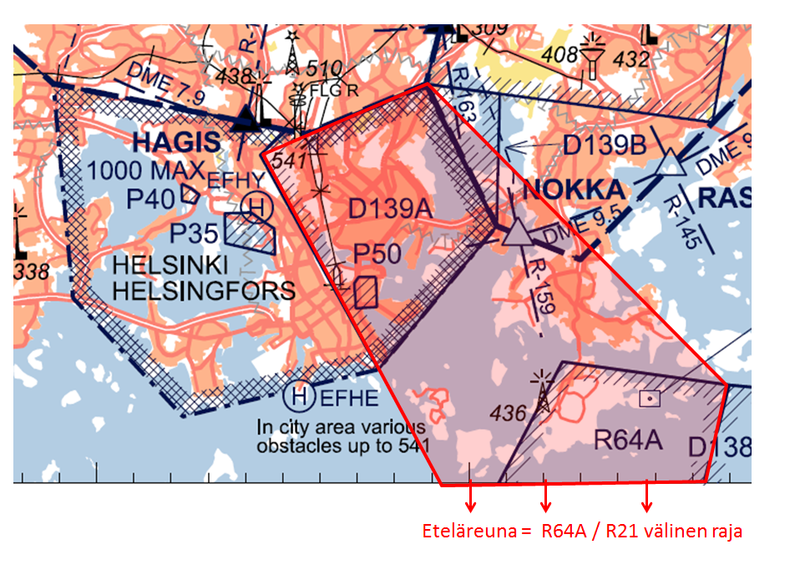 The temporary restriction area EFR1085 is active from 16 October 12pm until 19 October 12pm Finnish time (A3025/17). The map below shows the area on the EFHK VAC chart. Please take the area into account in your aviation activities.